We’re halfway through a year that has gone by quicker than the speed of light. 2013 has been the worst with regards to my personal life and also as a citizen of these here good ole United States. When I’ve been at my lowest point, sometimes the only thing left to do is get lost in the music. These are some of the albums that have been in constant rotation and thus earned a place on my Best of 2013 list. 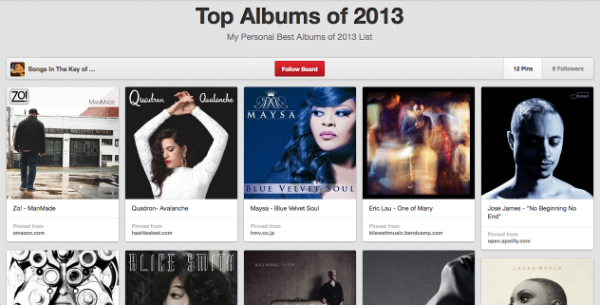 I’m curating the albums using my favorite social media tool, Pinterest, where I’ve just created a new home for the blog. If you’re a fan, be sure to follow me as I develop more boards daily. I’m particularly excited about the discovery of Laura Mvula, yet another songstress from overseas that you should add to your playlists. You’ve already seen what she can do. Her debut album, Sing To The Moon, was released this Spring and I’ve seen nothing but praise for the striking musician’s (trained) vocals and live performance. This album touches my soul. I’m listening to it as I write this post. 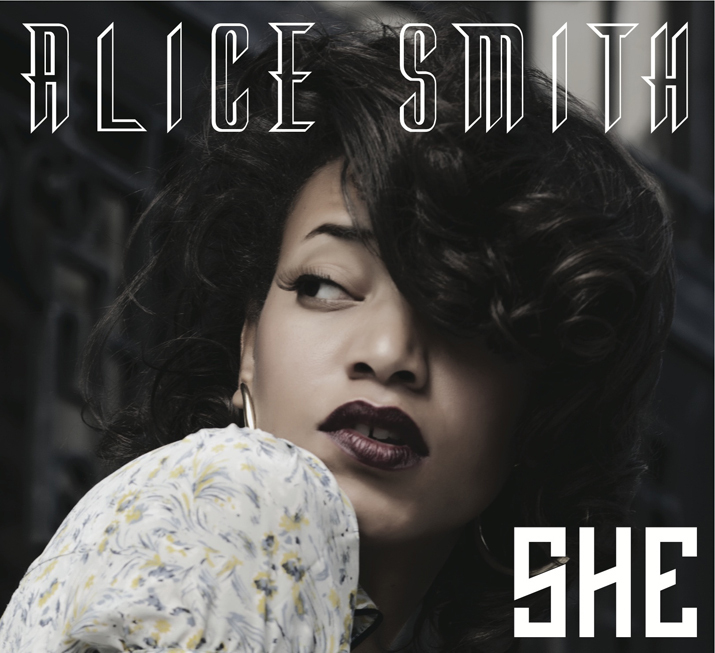 I’ve seen comparisons to Nina Simone and Lizz Wright and I concur with both. She’s something special. This album will bless you. You already know how excited I was about another special British artist’s return and boy did he deliver! I took Omar’s album, The Man, on my birthday trip and made the mistake of listening to it at the spa. Not conducive to relaxation at all. When he brings his tour to the DC area, we are going to be working up a black sweat! Check out these albums and add them to your collection. I wouldn’t steer you wrong! You may see some of your faves missing from the list. Feel free to share them in the comments. I still have a small backlog so you may see some updates to the list. We have lots of great music to look forward to in the later half of 2013 as well. Are you on pins and needles like I am waiting to hear the new projects from Janelle Monae, Amel Larrieux, and Gregory Porter? Been a LONG time coming for the ladies! At least ten times a day, I question why I wasn’t born independently wealthy so I can spend my days jet setting around the world attending and covering musical festivals. Until the day I make it to some of the music festivals of my dreams, I will have to enjoy the performances courtesy of Youtube. I hadn’t heard of the UK’s Cheltenham Jazz Fest before discovering these intimate performances by three of my favorite recent music discoveries: Laura Mvula, Lianne La Havas and Gregory Porter. I have yet to see Laura live but will likely see Lianne in a couple of weeks. I was blessed to see Gregory briefly at Capital Jazz Fest here in May. My time with him was brief but I was completely enthralled. Although I was watching him on a screen on a whole other stage, I couldn’t take my eyes off him. He is a magical performer with a stage presence that will have you caught up in the rapture of him. Get into these performances and add this festival to your bucket list as well! Connect with these artists via their websites and social media to stay updated on their upcoming projects and shows. Spread the word about good music! 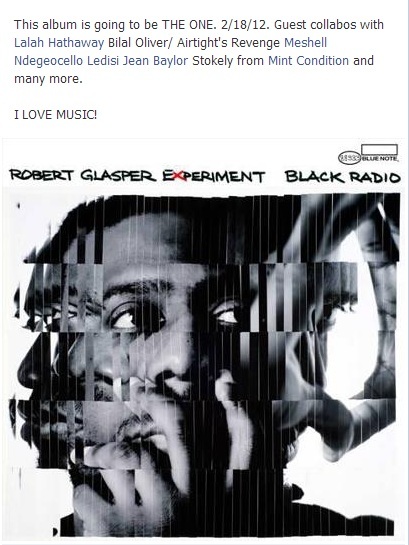 Two months before the release of Robert Glasper’s Grammy award-winning album, Black Radio, I saw the track listing and declared it a winner. Before I proceed, if you don’t have this album or have never heard of Robert Glasper (actually put someone on the other day who hadn’t), please get familiar post-haste. 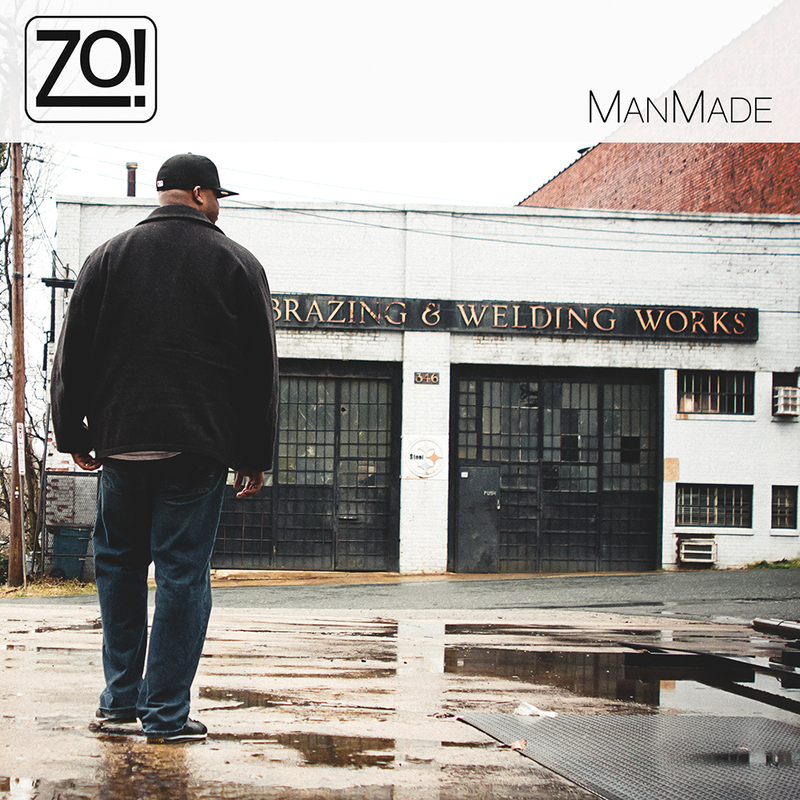 He is one of the premier artists redefining jazz right now. Black Radio is simply a phenomenal album blending jazz, hip-hop and R&B fluidly. On vocals, you have some of the best voices of our time: Lalah Hathaway, Meshell Ndegeocello, Erykah Badu, Ledisi, Bilal, and Stokely (of Mint Condition). 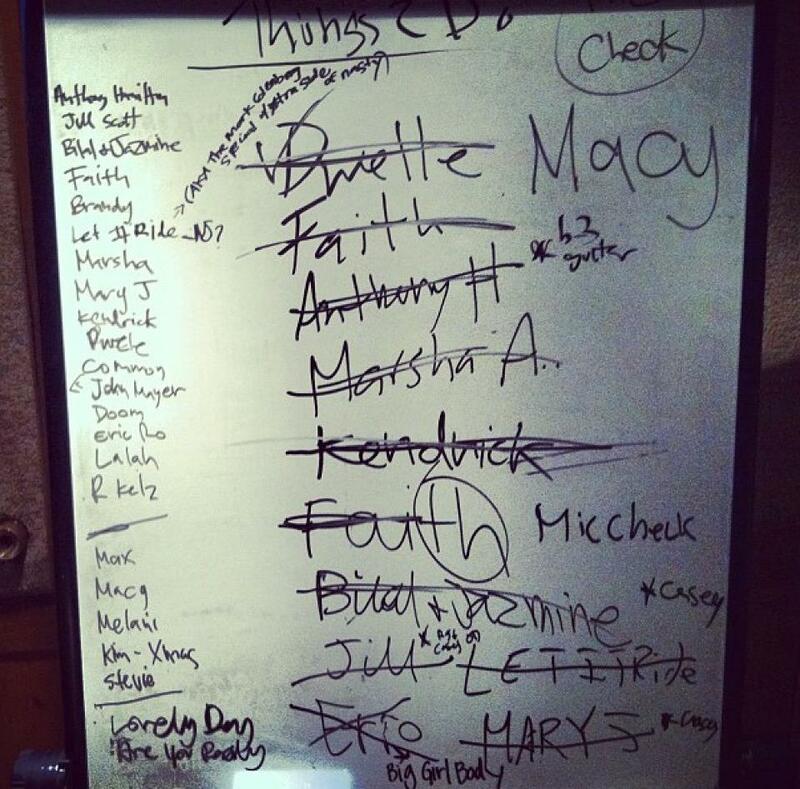 This is the possible collaboration list for part two of the album, Black Radio II. This go round, in addition to frequent collaborator Bilal, looks like we may hear the likes of Faith, Jill Scott, Brandy, Mary J. Blige, Dwele, Common, Eric Roberson, and Anthony Hamilton over the smooth sounds of Robert and the band. I was a bit surprised to see “R Kelz” on the list but regardless of how some may still feel about him, it’s sure to be a dope track. In studio now with@missjillscott……just guess………..
RT @marshaambrosius: I’m in the studio with @robertglasper he is GREAT!!! ❤❤❤ I’m happy here!!! I am already stoked about this project and have already declared it worthy of another Grammy nod before even hearing the first note. As soon as I get more info on a release date, I’ll likely tweet it first so connect with me there!